Internally or externally lit metal or plastic letters made to order. Most typefaces are available. Materials offered include Brass, Bronze, Stainless Steel and Cooper. We offer halo effect illumination using led lighting if required. 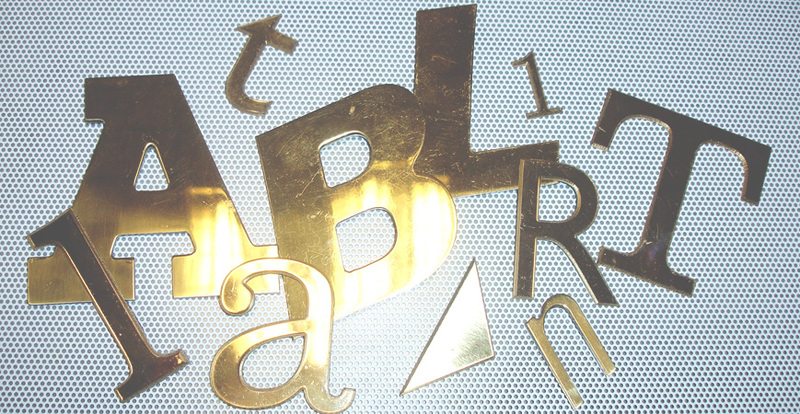 Letters in most metal made to order brass (indoor use only) in flat with brazed standoffs from .5 up to 3mm thick with soldered returns up to 150 mm thick stainless steel built up or Flat Letters.